ROCHESTER, N.Y. (AP) -- This may be the year that chalk makes its mark on the National Toy Hall of Fame, or American Girl outmuscles He-Man for a place of honor. 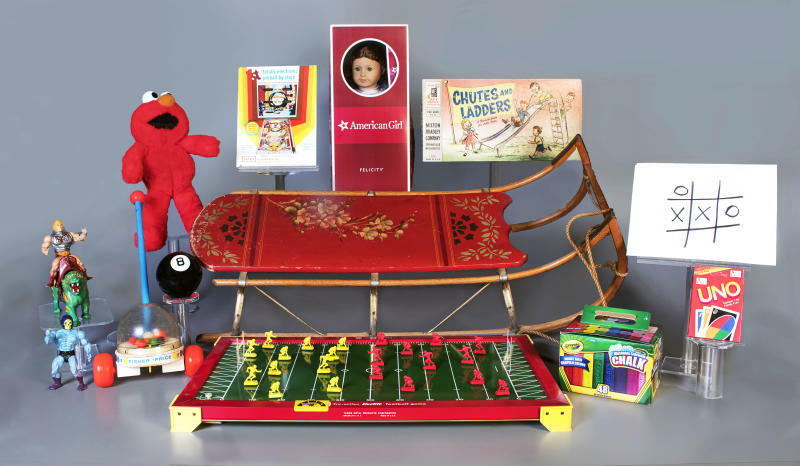 —American Girl Dolls: Created in 1986, each doll comes with a narrative that fits an era in America's history. —Masters of the Universe: He-Man and others in Mattel's line of action figures have been doing battle in comic books, television and movies since the early 1980s, and have been featured on everything from toothbrushes to sleeping bags. —Tickle Me Elmo: The 1996 Christmas must-have gave the favorite "Sesame Street" character technology to laugh and move when poked.